*We’ve lost another R&B singer/songriter from the old school. Leon Haywood has gone on to glory. As of this posting, the cause of death was not specified. According to the AP, Haywood’s godson Darnell “OG Cuicide” Price said the singer died in his sleep Tuesday in Los Angeles. 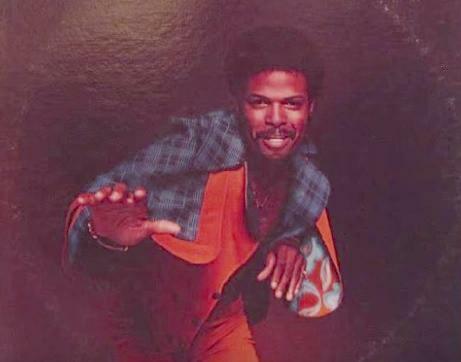 Haywood, a funk/soul singer songwriter and record producer, is perhaps best known for his 1975 hit single “I Want’a Do Something Freaky To You” passed away at the age of 74. If you think you don’t know the song, just think Dr. Dre’s and Snoop Dogg’s monster smash “Ain’t Nothing But A G Thang.” Dre. straight up lifted the instrumental track from “Freaky” for “G Thang.” It was no secret that the heralded rap producer was a huge fan of Haywood. According to Chris Rizik, the publisher of Soul Tracks, Haywood moved to Los Angeles in the 60s, where he worked with the legendary Sam Cooke as a keyboardist. When Cooke died, Haywood recorded his first charted single, 1965’s “She’s with Her Other Love.” Two years later, he scored bigger with “It’s Got to Be Mellow,” reports Soul Tracks. Even after his hit making days as an artist faded, Haywood continued his work as a songwriter and producer. Ironically, at the same time, as we said up top, his 70s music was being regularly sampled by major hip-hop artists such as Dr. Dre. Leon Haywood is also credited with writing Carl Carlton 1981 hit “She’s A Bad Mama Jama” which he produced in his own recording studio. His last charting R&B record was “Tenderoni” which went to #22 in 1984. Sorry to say, never heard of him. R.I.P. Mr. Haywood. Leon Haywood I heard of you brother and so did millions of others I’m listening to I’m out to Catch,on youtube one of your forgotten jams,,maybe because you didn’t sing on it you let Karen Roberts handle it. Still sounds great! Nice NYLACONNECT. He was a bad man! Cool, and smooth as silk.